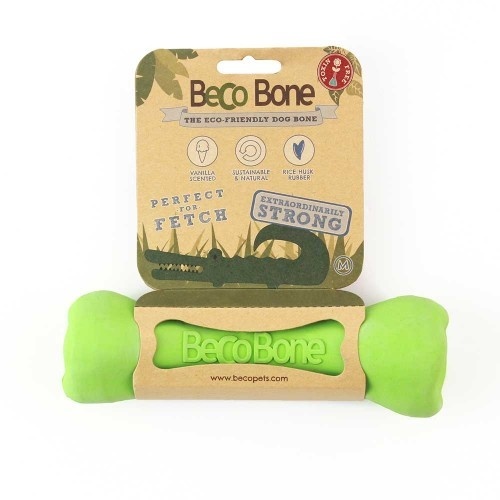 This is the toughest toy for the mightiest of chewers. 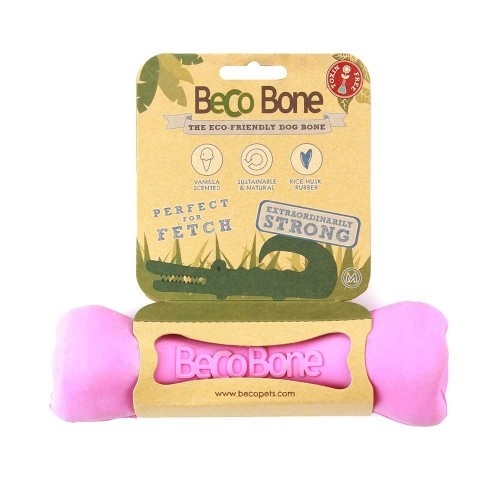 It has a hollow centre to hide tasty treats in to keep your pup busy. 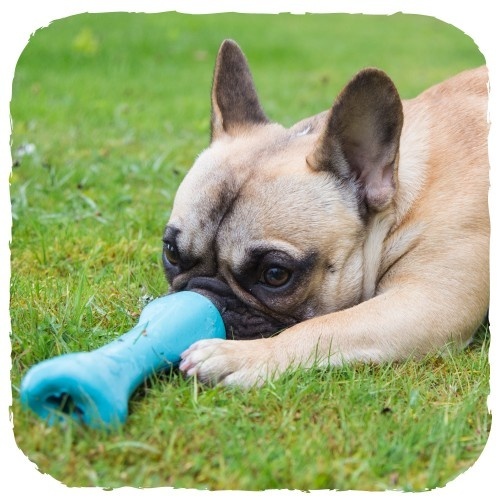 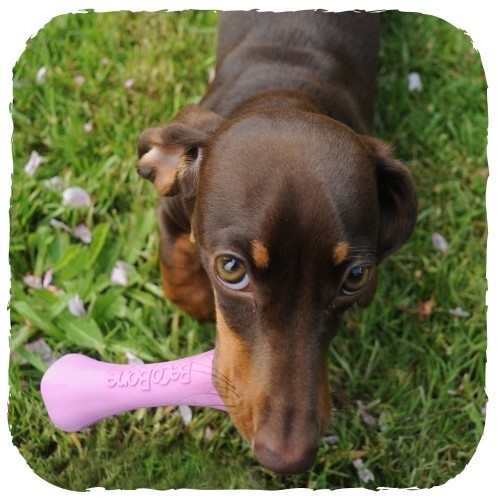 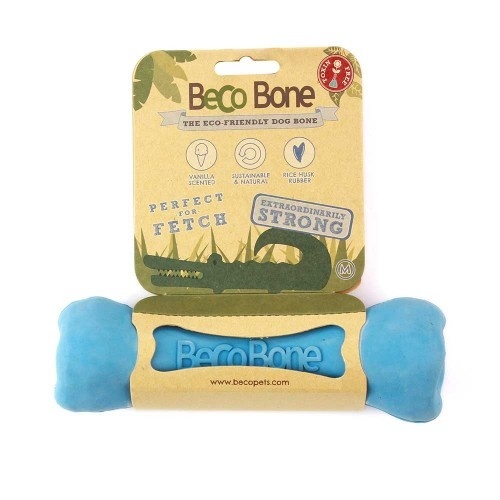 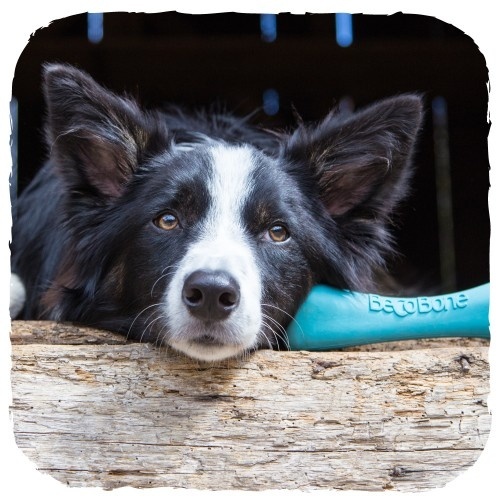 The beco bone is made from BPA free natural rubber with a vanilla scent and comes with a lifetime guarantee.